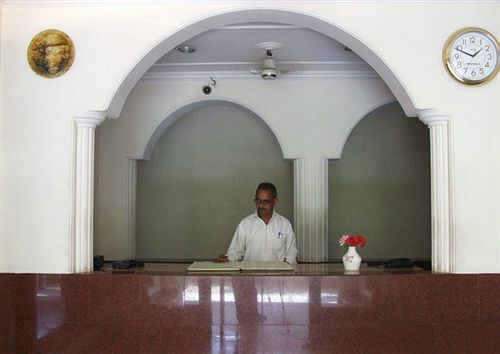 Hotel Buddha is located at Lahurabir in the heritage city Varanasi. The name is an inspiration from Lord Buddha who attained his true enlightenment in this cultural city. 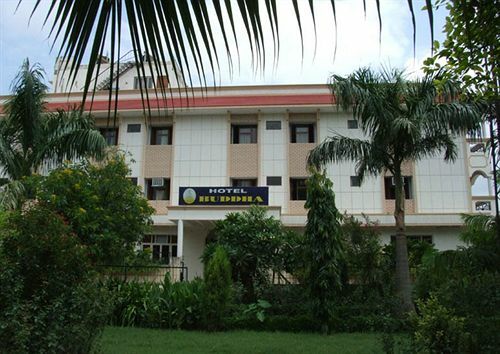 This is a budget hotel catering to the frequent pilgrim travelers coming to the city.The striking aura of its vast courtyard with amiable openness and its architecture full of natural colors, lighting, art and music makes it a popular choice.You can reach the hotel from Varanasi Junction Railway station or from local bus depot both within 5 km of radius. Lal Bahadur Shastri International Airport is about 22 km from hotel. 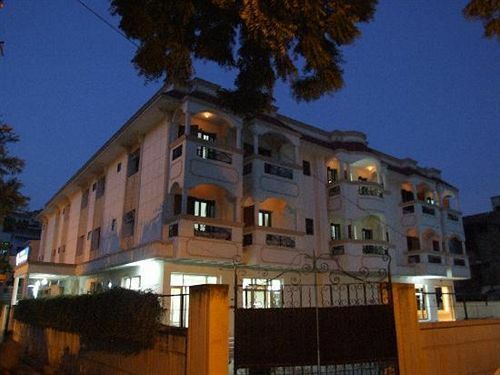 Hotel provides pick and drop facility from Airport and railway station.Take up the car rental service of the hotel to drive upto the famous places of Varanasi namely – Kashi Vishwanath Temple, Ramnagar Fort, Dhamek Stupa, Sarnath Museum abd Bharat Kala Bhavan Museum.Walk up to the famous markets of Dashswamedh Market, Thatheri Bazaar, Kaligarh Market and Vishwanath Road Market for local food, artifacts, crafted jewellery and local culture. Take boat riding at some of the famous ghats of Varanasi known - Manikarnika Ghat, Dasaswamedh Ghat and Assi Ghat to experience the vast River Ganges.For recreational activities hotel also arranges for local sightseeing tour packages for in and around the city. 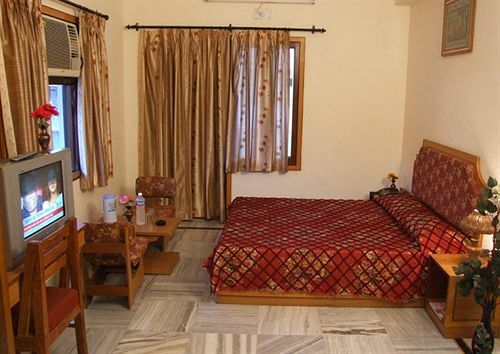 Deluxe rooms are the budget rooms of Hotel, mostly popular among pilgrims and frequent leisure travelers. The rooms have twin beds for single and double occupancy. Hotel gives a provision to include an extra bed on chargeable basis. The fully air conditioned room is accompanied with coffee table, sofa chairs and work desk. The marble floored rooms are given crème-yellow walls, bed front carpet and well complemented with dark color wood furniture. The room windows will keep the adequate sunlight in the room. Your room tariff includes complimentary breakfast. 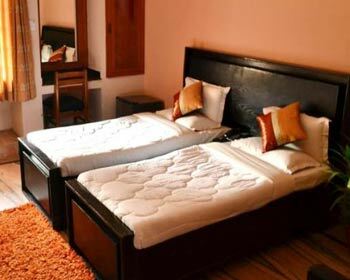 The moderately sized Deluxe rooms come with facilities like – color television with satellite channels, internet access, direct dialing telephone to stay connected, makeup mirror, mini refrigerator, wooden wardrobe for safekeeping, laundry service, complimentary newspaper and room service. The private bathroom has walk-in shower area, hot and cold running water facility and basic bathroom amenities. The spacious Super Deluxe rooms are the affordable rooms for business travelers, leisure travelers and small groups. These rooms are for single and double occupancy, with an option to include extra bed. Hotel provides complimentary delicious breakfast to enjoy with this room booking. The rooms have a Queen Sized double bed with nice wood work on back wall, bed front carpet and executive work desk. A small sitting area is maintained by the window side to get indulged in the city life outside. 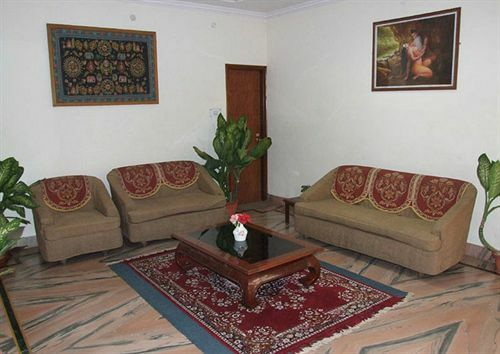 The marble floored rooms are given bright orange color theme on walls, furniture, bedding and décor. The attached balcony opens to hotel gardens. The stylishly furnished attached bathroom has walk-in shower area, hot and cold running water facility and essential bathroom toiletries. 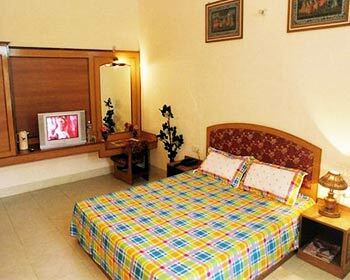 The fully air conditioned rooms keep you at comfort with – direct dial telephone, cable television for your entertainment, internet access, tea coffee maker, well stocked mini bar, makeup mirror, mini refrigerator, in-room safe, laundry service, newspaper and 24 hr room service. 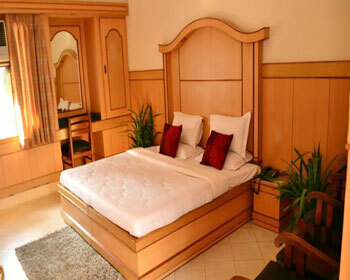 Premium rooms are extra luxury rooms of Hotel Buddha. These are mainly favored by couples and families on a holiday break to Varanasi. The fully air conditioned rooms are for double occupancy. You can easily accommodate an extra guest with some additional charges on your bill. This romantic room has wooden flooring and a Queen Sized bed. All the Premium rooms are uniquely themed based on ocean blue, hena green, orange and red color wall artwork, cushions, curtains and décor. Other than that you are provided with the luxury of complimentary breakfast, cable television, internet access for browsing, STD/ISD calling telephone and stylish in-room wooden wardrobe. The room as a dressing area, work station with ergonomic furniture and plush sofas to relax on. The room windows open to the daily hustle of this eventful city. 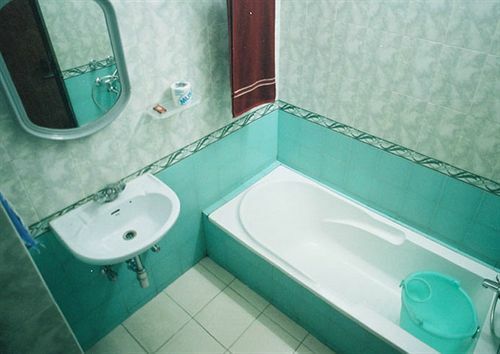 The attached bathroom is European style rotto furnished with bathtub to soak-in, hot and cold running water facility and essential luxury toiletries. Tea coffee maker, mini bar, iron & ironing board, makeup mirror, mini refrigerator, laundry service, complimentary newspaper and room service are there at your hospitality. 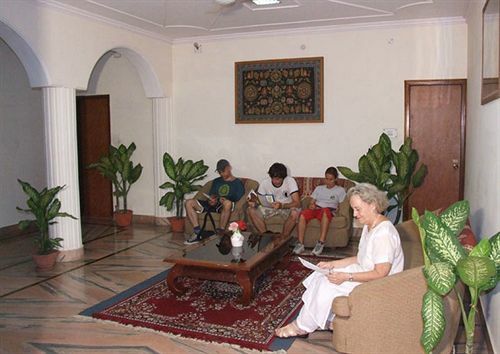 The extra spacious Family room is suitably designed to welcome Families and groups of friends to Varanasi. These rooms can easily accommodate four guests; though space is enough to include an extra guest on chargeable basis. The fully air conditioned room has two Queen Sized double bed and space for executive work desk. The living room maintained inside is equipped with sofa seating and table for a get together or to carry office discussions. For a luxury experience, your stay includes sumptuous complimentary breakfast. The room opens to hotel garden with garden furniture to spend some leisure time with your family and loved ones. 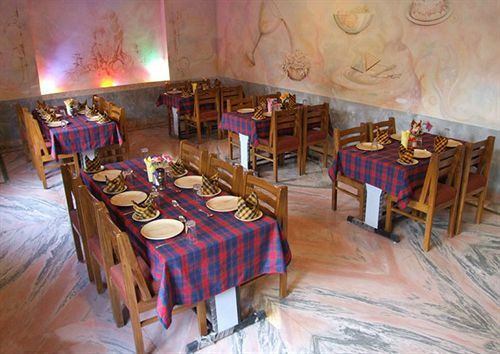 The marble floored rooms are given bright ambiance with colorful décor and furnishing to maintain the warmth. The luxury furnished modern bathroom has walk-in shower area, hot and cold running water facility and essential bathroom toiletries. The in-room amenities provided are – hi-speed internet access, telephone connectivity, color television with satellite channels, tea coffee maker, well stocked mini bar, makeup mirror, mini refrigerator, in-room safe, laundry service, complimentary newspaper and round the clock room service. 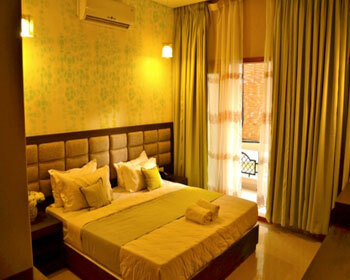 Hotel Buddha, Varanasi has a provision for well furnished and decorated rooms. The rooms are provided with all the amenities to provide the maximum comfort and luxury to the guests. Alacarte is the multi-cuisine restaurant at Hotel Buddha. The colorful ambiance of this place has beautiful wall artwork on the life of Lord Buddha. Matching with the color are table furnishings and other décor. Open for breakfast, lunch and dinner restaurant serves a wide range of Indian and international dishes for you to enjoy in a calm ambiance. Book a window side table to experience the view of hotel landscape garden. Having its proximity to railway station and being a budget restaurant, it is popular among frequent travelers for a quick meal before catching their train.